When the French-Corsican guitarist Jean Marc Montera came to Cologne in April 1998 to perform at the "Jack Pohl presents..." festival, we got the idea to record his impressive solo performance. Because he took the cheapest flight to Cologne from France, he had to stay nearly a week in Cologne. Time enough to record. These recordings were supposed to become GROB's first CD, honored with the catalog number 001, but they took place under irregular conditions. It took two years to reconstruct them into an adequate form. The CD is now appearing, after the catalog numbers 101-208 have already been distributed. No matter: Smiles from Jupiter marks the beginning of the label. Originally it was supposed to have been released as a self-made CD of about 100 copies and with specially designed covers. The form of the cover has remained. The CD is, however, no longer limited and industrially produced. The quality of the music convinced us to choose this way of publication. 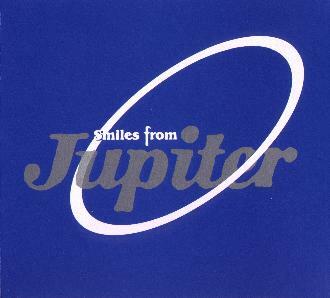 Smiles from Jupiter is, after Hang Around Shout (FMP 1996), Montera's second solo recording. The music is hard and aggressive, splintered and fragmented. What drives it is a musical effort that forms a dense stream-of-consciousness out of the most disparate individual sounds. Thus it's no surprise when a dramatic Corsican blues results from a horrifying tonal color poem. Montera nullifies the separation between energy and diffusion, euphony and noise attacks, between the electric and table top guitar. While reconstructing the recordings, the co-producer Joseph Suchy made several variations on the original pieces. Suchy did not use overdubs, but rather simply arranged the sounds anew. The variations are also found on the CD. Jean-Marc Montera lives in Marseille. He's worked with Paul Lovens, Wolfgang Fuchs, Michel Doneda, Erik M, Thurston Moore, Lee Ranaldo, Loren Mazzacane Connors, Günther Müller, Jean-Francois Pauvros, Tony Buck, Chris Cutler and many others. A CD with the Klangräumern (Thomas Lehn, Andreas Wagner, Guido Haffner), also recorded during Montera's stay in Cologne, is in preparation for 2001.